The death of a Sheffield woman yesterday takes the murder toll in South Yorkshire to nine so far this year. Detectives launched a murder probe following the discovery of a woman's body in a bungalow in Archdale Close, Manor, yesterday afternoon. Two men were arrested over the death and remain in police custody this morning. 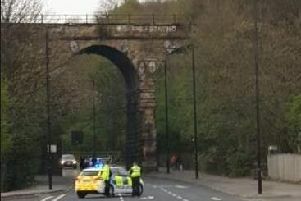 The 30-year-old woman's identity has not yet been released by South Yorkshire Police. The murder toll could drop down to eight again, with detectives this morning revealing that the death is now being treated as 'unexplained'. Eight other murders have been committed in South Yorkshire since the start of the year, with suspects charged in seven of the cases. The first murder of the year was committed in March, when 22-year-old Jarvin Blake was stabbed to death in Burngreave, Sheffield, as children were making their way home from school. The dad-of-three was stabbed in his chest when a group of men jumped out of a car and chased him and a friend, who was also seriously assaulted. Excluding yesterday's killing, Jarvin's murder is the only one for which nobody has been charged. On Saturday May 19, Claire Louise Smith, 42, was found dead in Union Street, Barnsley. The following day - Wednesday, May 23 - Ryan Jowle, 19, was stabbed to death in Tannery Close, Woodhouse. Frank Mvila Kiongaze, 22, of Morland Road, Gleadless Valley, has been charged with murder. A 15-year-old boy, who cannot be named, has been charged with murder. On Tuesday, June 26, Glenn Boardman, 59, was stabbed to death in a house Steven Close, Chapeltown.